Whether you’re a certified project manager or just managing projects, you’ll always want to perform at your best and to deliver your projects on time and under budget. But it’s not that easy to improve your own work, when you have so much else to do! You have to manage people, budgets, schedules, materials and equipment to deliver your project in a short period of time. That’s where this free book comes in. 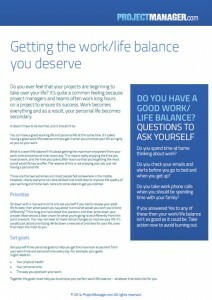 It helps you improve the way you work, whether you’re writing a spec, doing a presentation or managing project finances. And most importantly, it tells you how to do all of this while getting a healthy work / life balance. 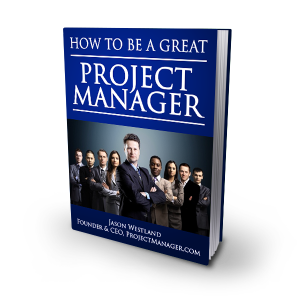 Written by Directors of ProjectManager.com, this unique e-book helps you get the most out of your role as a Project Manager. Great projects are delivered by a great team. Your role is to recruit the best people you can find and make sure that their skill sets are perfectly complimentary so that you have all of the experience you need to deliver the project successfully. You need to write a detailed Job Description for every person in your team so that they all know what is expected of them, at every step in the journey. Only with a great team and everyone knowing what is expected of them, will you deliver a great result. Every project has a budget. You need to ensure that you don’t spend more than that budget or your sponsor / client will be dissatisfied with the end result. 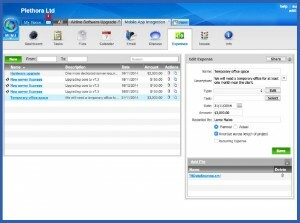 Manage finances carefully by listing every expense and ensuring that they are carefully planned front. If unbudgeted expenses are incurred, then tell your client as soon as possible to avoid complications down the track. If you need more budget, then don’t be afraid to ask for it. Confident people look and feel great! 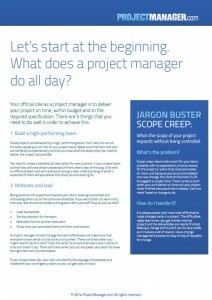 The first step towards boosting your confidence as a Project Manager is to start with your physical and mental state. Try and eat healthy foods, stay off junk food and drink plenty of water during the day. Do a little exercise – it’ll work wonders. Go to the gym or take up a sport. Then try a new haircut, buy some new clothes and shout yourself a gift that you’ll value. If you look and feel fantastic, then you’ll start each day feeling wonderful and it will give your confidence a real boost. You need to be the one “cracking the whip” so that everyone knows what has to be done and by when. You need to be strict and make sure that every task is completed on time and doesn’t slip. If a task does slip, then you need to identify the slippage immediately and have contingency plans so you can get it back on track. You need to be positive and supportive towards your team so they know you also care. Lead by example and motivate others to do the same. If you want others to “raise the game” in terms of how they work, then you need to “raise the game” in how you work too! That’s how you lead by example. Give them direction, motivate them to work hard and show you care along the way.